Depression, anxiety, and symptoms from medication side effects often overlap. This can lead to an under-diagnosis of anxiety disorders in older patients. Symptoms of anxiety can occur at any age, but are often under-recognized and under-treated in people over the age of 65. 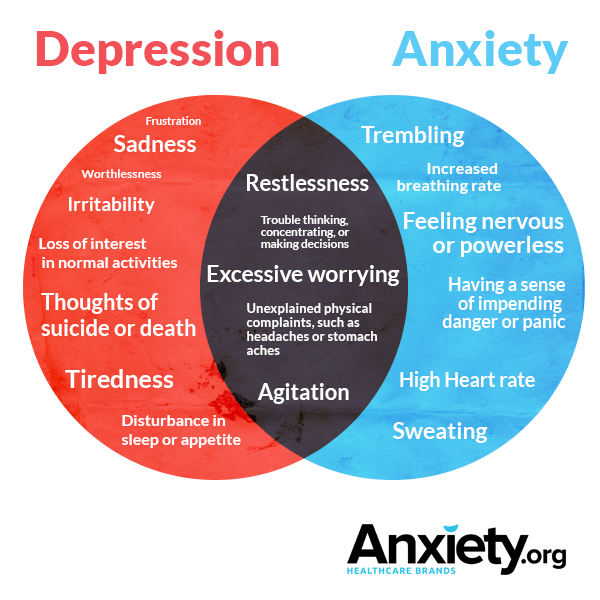 Primary care and other health specialists may be more attuned to symptoms of depression and miss signs of anxiety, which include physical symptoms such as shortness of breath and difficulty sleeping, as well as cognitive and emotional symptoms such as excessive worrying and irritability. Why are Older Adults More Likely to be Misdiagnosed? Often, older adults experiencing symptoms of anxiety have difficulty communicating their experience. Anxiety symptoms can mimic side effects of medications as well as the symptoms of other disorders. Take, for example, shortness of breath or heart palpitations: each can be a sign of respiratory or cardiac diseases, potential anxiety disorder, or a reflection of the presence of both. 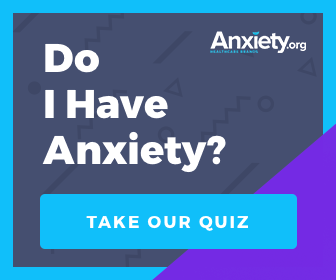 With such varying possibilities, it is no wonder both patients and health professionals can mistake symptoms of anxiety for other things, or miss them altogether. Also, changes in memory and increased physical symptoms (such as trembling or headaches) are common in later life, making distinguishing between depression and anxiety even more difficult. Compared to those afflicted by anxiety at younger ages, older adults with anxiety are more likely to be women and suffering from another illness. Older adults with anxiety also complain of cognitive (e.g., memory and attention) and behavioural (e.g., poorer sleep and appetite) symptoms more often than younger persons suffering from anxiety. Studies suggest that phobias are the most common anxiety disorder among older people, with Generalized Anxiety Disorder (GAD) being slightly less prevalent in the older population.3 Other anxiety disorders, such as Obsessive-Compulsive Disorder (OCD) and Post-Traumatic Stress Disorder (PTSD), are relatively uncommon in later life. Proper, specialized anxiety testing can reduce both misdiagnosis and under diagnosis among later-life sufferers. The Geriatric Anxiety Inventory (GAI) is used in many clinical and research settings globally in order to accurately measure late-life anxiety.4 The GAI was developed specifically for use with older adults – the assessment was designed, tested and validated on persons over age 65. The GAI is appropriate for use in a wide range of settings in which health professionals may encounter older patients, including inpatient, community outpatient, and nursing home settings. The instrument was kept relatively brief (20 items) with a simple agree/disagree response format for ease of use with persons with mild cognitive impairment. The GAI is not a diagnostic tool, but rather a means for health professionals to gauge the patient's symptom severity across a range of anxiety disorders and symptoms. Being able to measure symptoms allows health professionals to know which patients to follow up with for a more comprehensive assessment of anxiety symptoms. It also enables the health provider to reassess symptoms following treatment in order to determine if the intervention is in fact reducing symptoms. The GAI has been shown to measure psychological distress with excellent reliability and concurrent validity.4 A shortened version of the GAI, with only five items, was developed for use in epidemiological research and as a brief screening tool.5 The assessment has also been translated to over two dozen languages, spread across five continents, with psychometric properties remaining largely consistent across translations.6 This consistency is important as it allows for crucial cross-cultural comparisons of anxiety symptoms in healthy and clinical populations. The GAI is a useful screening tool that a broad range of health professionals can easily incorporate into their everyday practice in order to provide better detection, treatment, and follow up for debilitating anxiety disorders in later life. 1Bryant, C., Jackson, H., & Ames, D. 2009. Depression and anxiety in medically unwell older adults: Prevalence and short-term course. International Psychogeriatrics, 21, 754-763. 2Porensky, E. K., Dew, M. A., Karp, J. F., Skidmore, E., Rollman, B. L., Shear, M. K. & Lenze, E. J. 2009. The burden of late-life generalized anxiety disorder: Effects on disability, health-related quality of life, and healthcare utilization. American Journal of Geriatric Psychiatry, 17, 473-482. 3Ritchie, K., Artero, S., Beluche, I., Ancelin, M. L., Mann, A., Dupuy, A. M., … Boulenger, J. P. (2004). Prevalence of DSM-IV psychiatric disorder in the French elderly population: The Esprit Study. British Journal of Psychiatry, 184, 147–152. 4Pachana, N. A., Byrne, G. J., Siddle, H., Koloski, N., Harley. E., & Arnold, E. (2007). Development and validation of the Geriatric Anxiety Inventory. International Psychogeriatrics, 19, 103–114. 5Byrne, G. J. A., & Pachana, N. A. (2011). Development and validation of a short form of the Geriatric Anxiety Inventory: the GAI-SF. International Psychogeriatrics. 23(1), 125-131. 6Pachana, N. A., & Byrne, G. J. (2012). The Geriatric Anxiety Inventory: International use and future directions. 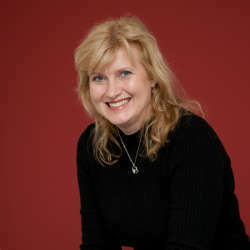 Australian Psychologist, 47, 33-38. Is Depression Or Anxiety Making You Older?